Learn about Marketing360’s cloud-based marketing service for businesses. Includes info on Marketing360, free trials, pricing, customer reviews, and FAQs. Marketing360 is a cloud-based marketing platform for businesses. Marketing360’s solutions include marketing automation integration, task management and document storage. Businesses can use Marketing360 to optimize marketing channels from one interface. Marketing360 does not list pricing on their website. 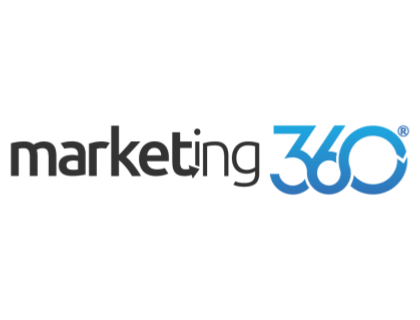 You can contact Marketing360 here to get a tailored quote based on your business needs. Pros: The CRM is easy to use with great analytics and integrations. Cons: Could improve the automation options. Bottomline: Superb platform to effectively manage marketing processes. Is there a Marketing360 free trial? Where can I find the Marketing360 login? There is no login capability on the Marketing360 website. You will acquire login details once you have registered for their products. What are some Marketing360 alternatives? I used them but do not recommend. I had a 6 month contract that I cancelled as soon as I could. It took them 4 months to install a template, which they never finished. Many pages on my website are still messed up. It loads really slow. They say they are BigCommerce experts but clearly are not. Marketing and SEO was terrible. Low quality of images and SMM. Their real name, which is on the contract, is Madwire Media. Search that name and BBB, you will see many other unhappy customers. Expansion is a stressful but exciting time in a cleaning company. We have found that a strong online presence (SEO and professional looking website) was key. True it costed us a lot to get started, but I don't think we would have accomplished what we have without it. We used Marketing360. They are not the cheapest, but they get results. Hope that helps. Not good work. Anything they do or build is their property and if you ever want to leave, they won't even let you take your website. I have personal terrible experience with #Marketing360. They are great to market themselves, take your money, and do nothing. Lost money and a lot of time. Stay away! To be perfectly frank, you'd be better off lighting your money on fire than hiring Marketing360 - at least doing so would spare you months of frustration, anger, and disappointment. Over the course of 8 months, Marketing360 did not help me to make a single sale. I spent $12,000 working with Marketing360 with nothing to show for it. I messed up, but you don't have to. Please do your homework and think long and hard about this decision.I wish you all the best in your entrepreneurial endeavors. The worst company I have dealt with/ am still dealing with.my 6 month contract is for approximately $6000. A Truly Predatory Company. Please stay away from marketing 360. They signed me on and 2 months later told me that they can't work on my site as they are unfamiliar with it's backend. Hence I have not received/ am ineligible to receive 80% of the services I am paying for.I have the same experience with the Ad front as mentioned by the other folks here who got swindled. The so called marketing execs are lazy and provide terrible, low quality, inefficient FB Ads. They simply change out stock photos and create wordy ads to spend your Ad budget. They are no better ,ifnot worse than the FB Ads I had created before signing up with marketing 360. I am upset at myself for wasting the limited resources which I need to launch my business. I wish I found this thread 4 months ago. I started using Marketing 360, aka Madwire, two years ago under a six-month contract and it was the worst business decision I made at that point. Pay-per-click companies always over promise and under deliver and Marketing 360 is no exception. Once you start working with your account manager and lock into a contract you will realize you’ve made a mistake and there’s no turning back at that point.